Paperback, 7 x 10 in. / 260 pgs / illustrated throughout. Edited by Dieter Daniels, Sandra Naumann. 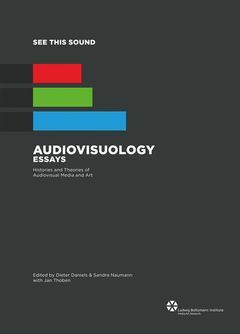 This second volume in the See this Sound series offers in-depth studies of the historical development and theoretical foundations of the overlap between visual and aural culture. The essays are gathered into two sections. 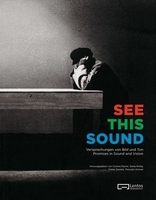 The first section opens with Simon Shaw-Miller's history of the field, from 1800 to the present; Christian Höller discusses “artistic approaches to image/sound relationships in pop culture”; and Sandra Naumann looks at “the musicalization of the visual arts in the twentieth century.” The second section, “Sound & Image,” includes Hans Beller on film scoring; Diedrich Diederichsen on visual traditions in pop music; Katja Kwastek on music devices and art machines; Birgit Schneider on “Hearing Eyes and Seeing Ears”; and Chris Salter on the neuroscience and aesthetics of immersion, absorption and dissolution in audiovisual art. An epilogue by Michel Chion explores the cognitive conditions of audio experience. FORMAT: Pbk, 7 x 10 in. / 260 pgs / illustrated throughout.